Broken-hearted Nick can’t believe it when he sees his ex-girlfriend Tris walk into the club with another guy. Turning to the girl beside him, he does the only thing he can think of to save face. Norah is preoccupied with her own complicated life, but when Nick turns and asks her to pretend to be his girlfriend for five minutes, she somehow finds herself agreeing. One electrifying kiss later, Nick and Norah find themselves traveling together through New York, a city sizzling with sexual energy, and alive with the beat of the music that serves as the soundtrack to their experiences. In one incredible night, they come to terms with past mistakes, confront the realities of unsatisfying relationships, accept the challenges of the unknown future, and discover the exhilarating prospect of real love. Acclaimed YA authors Rachel Cohn and David Levithan came together to write this trendy novel. Chapters switch back and forth between Nick’s perspective and Norah’s, an engaging narrative style that is both convincing and funny. The authors bring the energy, lights, and sounds of New York City to vivid life. The fast-paced narrative makes this a quick read, but the insightful characterization and themes encourage thoughtful reflection long after the book is finished. The print is clear and large, and the lightweight paperback is comfortable to handle. 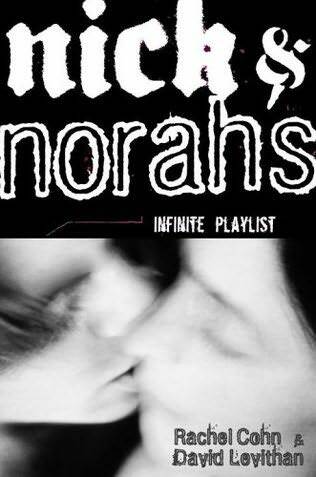 Nick and Norah’s Infinite Playlist will appeal to teen boys and girls, especially those interested in the contemporary music scene. However, explicit language and graphic sexuality make this novel more appropriate for older teens. Recommended with reservations. 4P. 5Q.